Bangladesh Post Office Inspector Result and Viva 2016. 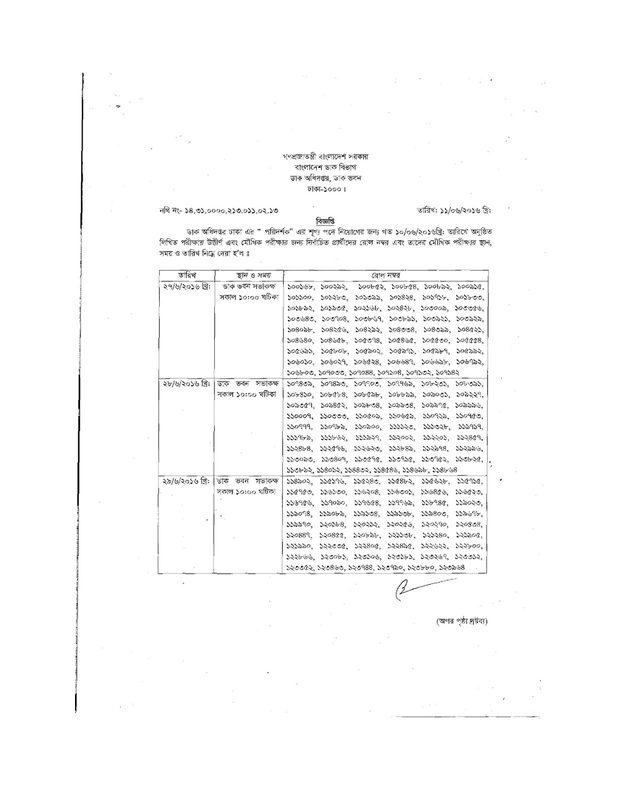 Bangladesh Post Office Schedule of Written & Viva Exam for The Post Inspector. Post Inspector Job Results 2016 under Bangladesh Post Office are available now. All Candidates able to check their roll from below.